My TBR pile just keeps getting larger and larger. So why do I keep seeking out new and upcoming titles? What drives me to see what's coming up on the horizon instead of being happy with what I have? It's 'cause I'm a dreamer, some even say - a visionary. Or maybe it's just that I'm just paranoid I'll miss out on a fabulous book. Whatever it is that drives my crazy, the end result is what truly matters. So, here they are - some more upcoming books for 2012. Hex Appeal by P.N. Elrod (editor), Jim Butcher, Carrie Vaughn, Ilona Andrews, and More! In the magical world that lies hidden beneath our own, witches and conjurers exact sweet revenge on those who dare to cross them. They know just the right spell to punish an ex-boyfriend—and the perfect hex to bring rivals to their knees. But what if you’re the unlucky soul who falls victim to a conjurer’s curse? And if you had the power to cast a magic spell of your own, would you use it? In this bewitching collection, nine of today’s hottest paranormal authors tell otherworldly tales featuring spell-spinners who cast deadly hexes—and stories of their hapless, and not-so-hapless, victims. Chock full of paranormal hijinx, this fantastic collection will hold readers spellbound—and enchant readers everywhere with its irresistible hex appeal! In this page-turning follow up to Moonshine, it’s summer in the city and most vampires are drunk on the blood-based intoxicant Faust. 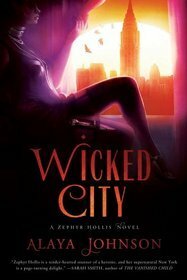 The mayor has tied his political fortunes to legalizing the brew, but Zephyr Hollis has dedicated herself to the cause of Faust prohibition--at least when she isn’t knocking back sidecars in speakeasies. But the game changes when dozens of vampires end up in the city morgue after drinking Faust. Are they succumbing to natural causes, or have they been deliberately poisoned? When an anonymous tip convinces the police of her guilt, Zephyr has to save her reputation, her freedom and possibly her life. Someone is after her blood--and this time it isn’t a vampire. New York Times bestselling author Anne Stuart, writing as Kristina Douglas, offers the third novel in the Fallenseries. Michael, the warrior angel, is the fiercest of the Fallen, their staunchest defender. Never has he met a foe he could not defeat in combat…until the love of a mortal woman threatens to sway him from his greatest duty. Trapped for centuries in the bleak Shadowlands, Dai clings to his humanity with a thirst for knowledge. But now he's free of the goblin curse, and some would say he knows too much- he can make nature bend to his will, influence the minds of others, and command magic. Yet love eludes him. Then he meets Amanda, a single mother with a sick daughter whom he feels compelled to protect. But could she possibly place her trust in the kiss of a goblin prince?